AMAZON COUPON ALERT! Spend $20 and Get $5! 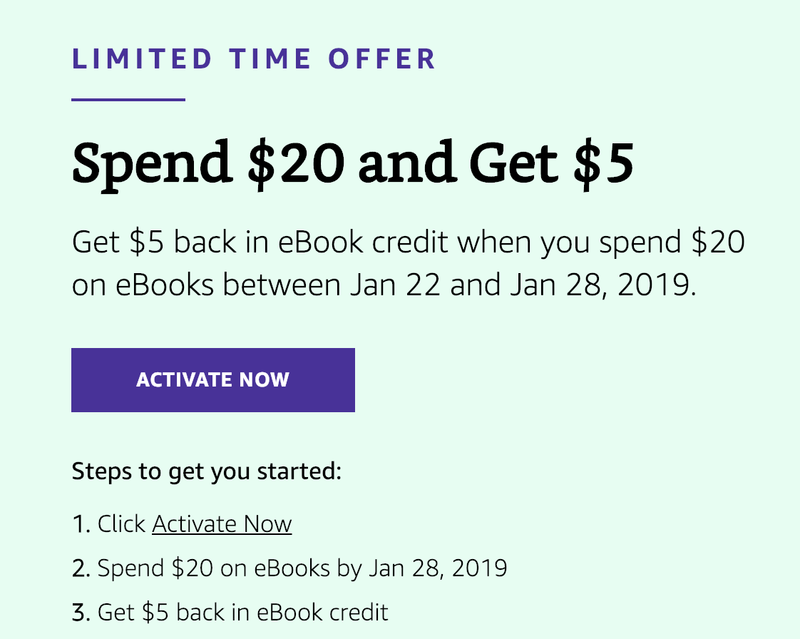 EBOOK PROMO CODE! AMAZON COUPON ALERT! Spend $20 and Get $5! What a great coupon! I can think of 20 romance books I want to buy right now! Need a suggestion? Visit me on Facebook or search my latest book reviews. Get $5 back in eBook credit when you spend $20 on eBooks between Jan 22 and Jan 28, 2019. I hope it activates for you! Give it a shot!